This is our most popular tour incorporating a great sightseeing tour of Hobart along with some of the History of Tasmania in a short half day format. This is a great tour for people visiting on a cruise ship. We will discuss your individual requirements and design a Tour that will take you to the locations that interest you. Variations to the above tour can be made to see Kingston Beach or The Old Signal station at Mt Nelson or many other historic sites. You will need to do a Full Day Tour if you wish to see Port Arthur. Port Arthur is the number one tourist attraction in Tasmania and you will be spellbound by the Ruins and Restored buildings at this World Heritage listed site. As Port Arthur is a 200 kilometre round trip a lengthy amount of time is spent driving to the Historic site along the Tasman and Arthur highways. This is something to mindful of if you are visiting on a Cruise Ship. Enjoy fantastic half-day or full day tours in Hobart from Salamanca to Mount Wellington, where you can admire the breathtaking panoramic views. Visit Hobart’s famous sights, ascend the mountain, and enjoy the scenery of overlooking Hobart and its surrounding suburbs. Situated in a stunning location, Hobart has a heritage charm mixed with a contemporary lifestyle. It is the capital of the island state of Tasmania and is Australia’s southernmost and second oldest capital city after Sydney. Relish in the city’s captivating history, stunning architecture, rugged mountains, and scenic water views. 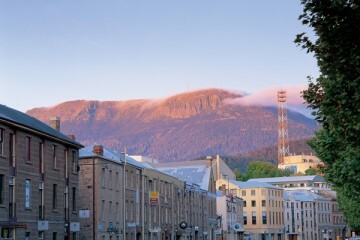 Mount Wellington in particular allows each visitor to catch a glimpse of the unfolding panorama of rivers, fields, and the aquatic setting of Hobart city. 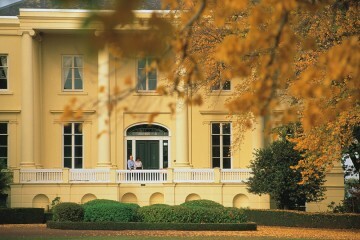 On this tour you will see St. David’s Park as well as Anglesea Barracks, Australia’s oldest army facility. Experience the mountain town of Ferntree and pass through various eco-systems as you climb the mountain. Observe the massive rock formation of the Organ Pipes and explore Mount Wellington Summit, a harsh rocky alpine environment affording unsurpassed views on a clear day. You can also admire the panoramic spectacle of Hobart, its surrounding suburbs, towns, and vast waterways. The Museum of Old and New Art (MONA). Hobart tour Guide. Tasmania Tour Guides is an excellent introduction to Hobart and its history, making it ideal for visitors. We can tailor tours to your requirements, customise them to your schedule, and include the charming Battery Point and Salamanca. Hobart tour Guide. Our business specialises in sightseeing tours Hobart and surrounding regions. We can take a group of 4 people up to a group of 16 people on our hobart tours. For bookings inquire online or contact us on 0419 556 060. Alternatively you can also book at our stand in the Brooke Street Pier, Brooke Street Pier Franklin Wharf TAS 7000. Hobart tour Guide.